Withings Sleep is a sleep tracker that sits underneath your mattress and features advanced sleep tracking as well as integrated home automation features. NOTE: Withings Sleep recently added support to monitor and track breathing disturbances which is a possible indicator of conditions like sleep apnea. 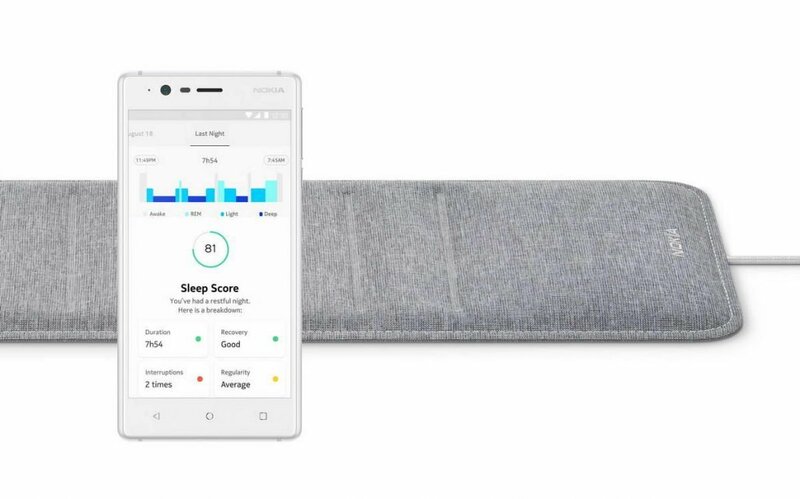 Withings Sleep is a sleep tracking mat designed for people who want to learn how to sleep better, but don’t want to be bothered with strapping on a wearable like a Fitbit to their wrist. 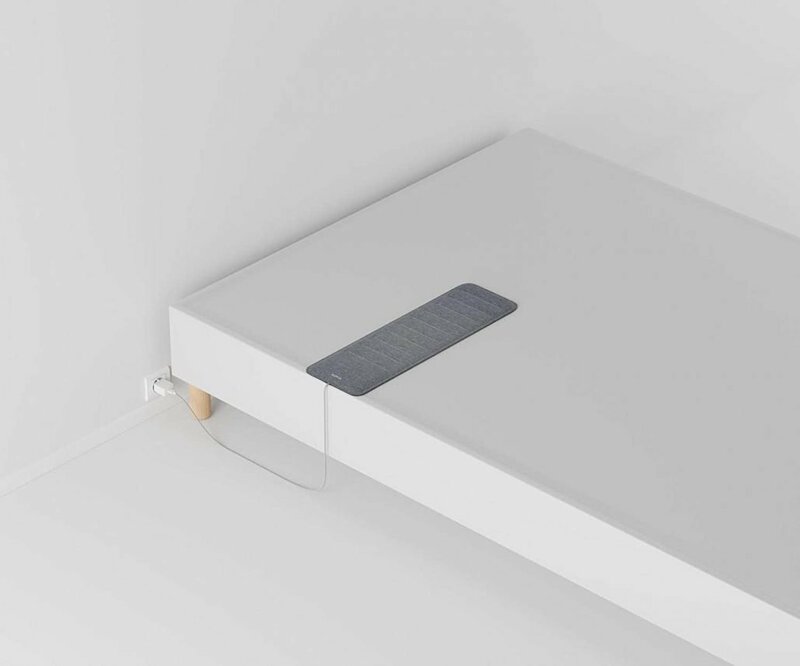 The sensor slips underneath your mattress and using a technique known as ballistocardiography, monitors your breathing, movement and heart-rate, and translates this into your data about your sleep. The sensor is Wifi-enabled, so you don’t have to pair it with your phone – it connects directly to the Withings Health Mate app. As well as giving you detailed metrics about your sleep, recording light, deep and REM sleep cycles, it can also detect snoring. Smart home integration means you can create home automation scenarios with IFTTT and even connect with Amazon’s Alexa. Designed for give a frictionless sleep-tracking experience. Once you’ve placed the sensor under your mattress and connected it to the mains and your Wifi, it’s a case of ‘set and forget’. Sleep tracking is automatically detected when you get in and out of bed – and because it syncs with the Health Mate cloud platform, it doesn’t have to rely on you fiddling with your phone before bedtime. The sensor itself is not much to behold in terms of design. House in a gun-metal grey fabric, there’s a single cable attached which terminates in a USB plug that’s used to power the device 24/7. The sensor claims to be able to break down your sleep data into light sleep, deep sleep and also REM (rapid eye movement) sleep. This is more detail than most wrist-worn wearable devices give you. Part of this is down to the fact that Withings Sleep also records your heart-rate whilst in bed. In the morning Health Mate syncs all of your night’s data, giving you a sleep score measured out of 100. The Health Mate software also features the Sleep Smarter program – an 8 week coaching program which takes your long-term sleep data and provides feedback as to how to improve your sleep quality over this period. As part of the company’s aim to integrate its digital health products into the core of the smart home, Withings Sleep comes fully equipped to take advantage of the vast capabilities of the IFTTT (IF This, Then That). In case you’re unaware, IFTTT is a platform that’s used to create home automation scenarios or ‘recipes’ between over 500 products and services. Withings Sleep already has its own page of IFTTT applets. 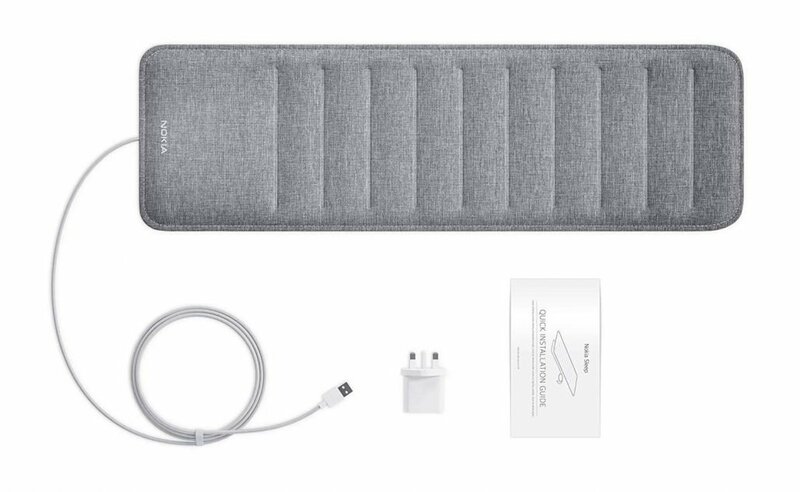 These include the ability to turn your Philips Hue lights on and off automatically when you get into bed; adjust your room temperature for an optimum sleep experience at nighttime; muting your phone and automatically tracking your sleep stats in Google Documents. In addition, Withings Sleep is also able to connect with Amazon Alexa, so you can just ask your Echo device how you slept the previous night.